For awhile now I have been seeing a reoccurring charge for $5.99 listed as AMZN Digital*MI or something similar. I looked all over my account pages and could never find any subscriptions that were active. I was finally able to determine that the charge was for ComiXology which was squired by Amazon some time ago. I am assuming at some point the charge stopped being listed under ComiXology and was switched to Amazon Digital but I am not certain about this. There was no help for this online so I thought I would put a not here and hope that future searchers find this post. This month my home experienced a rare power outage. It did not last very long but somehow during the outage my trusty ASUS router was powering up but it was not passing any traffic. I tried various troubleshooting methods but nothing resurrected it. So, now I am forced to use the WiFi function of my DSL Gateway. This system is really great for range but terrible for speed and reliability, My household suffers through this for a few days before we decided that now we are in the market for a new router so after doing some research at The Wirecutter to see what they recommend as they have a really good testing methodologies. The clear winner was of course the Eero Mesh WiFi System. So my Wife and I made a trip to our local Best Buy to pick up the system that works best for the layout of our ranch style home. Before installing the new system I ran a few speed tests from my office on a desktop and in carious places through the house on my smart phone. The results are as follows. Speed tests from DSL Gateway. Mobil test from the kitchen. Mobile test from the living room. Mobile test from the bedroom. Mobile test from the office. As you can see the signal strength is good but the speeds are terrible. We were fin unless someone wanted to stream a video and we were buffering very often. Setting up the Eero Gateway was very easy. Unbox the gatewayy, install the eero application from your mobile app store of choice, and follow the prompts. For my home I have the following setup. Once everything synced up and the app advised me everything was connected it did a quick firmware update and restarted all 3 devices. Once they were all showing back online I ran the same speed tests again. Mobile test from the Kitchen. Recently WordPress has updated their WYSIWYG editor to Gutenberg which is absolutely fantastic! The only issue thus far is that when editing or updating a post within WordPress you see is the following. This prevents the auto save and publish functions from working. WordPress and Cloudflare are working on the issue and have a workaround in place. The fix involves disabling two rules in the WordPress rules set in the Web Application Firewall settings in your Cloudflare account. Once you are logged in click on the domain that you need to edit. Click on Firewall from the top menu. Scroll down to the section titled IP Firewall Button. Click the button to the left titled Web Application Firewall. Look for the section titled Package: Cloudflare Rule Set. Scroll down to the section titled Cloudflare WordPress and click the link. Click on page 4 from the pagination at the bottom of the section. Look for the rules WP0025A and WP0025A. On the far right side of the section under the Mode heading you will see a drop down list. Choose disable for both rules. You should see a green par across the bottom of the screen indicating that the settings are saved. Go back to your WordPress Admin area and try to edit a post. Unfortunately this workaround has never worked for me even after Gutenberg was updated and Cloudflare pushed out patches on their end. As a last resort I had to whitelist my IP from the Firewall Events section of the Firewall page. Now I am once again able to edit posts and whatnot in WordPress! Shortly after LEGO released a $349, 3,599-piece scale model of the Chiron LEGO has upped their game with a fully life sized and drivable model created out of Lego Technic pieces. The Chiron uses 339 different Technic elements, many of which are used as load-bearing components. It even has working headlights—featuring the first use of some new types of transparent Techic bricks. The car weighs 3,306lbs (1,500kg), and even the powertrain is made from Lego: 2,304 of the little electric motors to be precise. This gives the Chiron somewhat reduced performance compared to the ones Bugatti makes in Molsheim, France. One of those has 1,500hp (1119kW) and a top speed in excess of 261mph (420km/h); the LEGO Technic Bugatti makes just 5.3hp (3.9kW) and tops out at 12.4mph (20km/h). LEGO has provided this video to see if in action! Put another way: Apple’s products are successful because Apple knows how to market their products to a fanbase of deeply flawed individuals who don’t know what’s good for them. This was a very interesting critique of well know Tech Reporter admitting over time that their initial impression of a product were perhaps hasty given. I agree with the original author that people should be applauded for admitting they were wrong. The author does a better job of articulating this than I.
Savov deserves credit for having the willingness — dare I say “courage”? — for not keeping his change of heart to himself. I can’t say I am looking forward to going home tonight. 😛 I have four Alexa products through out my home and I do not need creepiness. 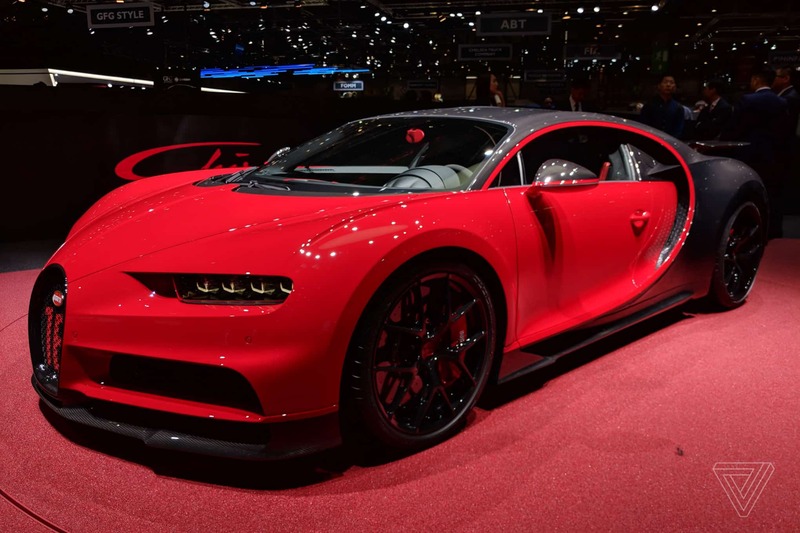 “The Bugatti Chiron Sport costs some stupid amount of money north of $3 million. The only people who might care about the precise figure are the accountants at the Volkswagen Group, Bugatti’s parent company. Those who can afford the Chiron Sport don’t trouble themselves with how millions are rounded, and the other 99.99 percent of us will never be so fortunate as to have to seriously consider buying this instead of, say, multiple mansions. The Chiron Sport, like the rest of Bugatti’s historic lineup, is the automotive equivalent of unicorn breeding. I am super jealous of of this man. I mean, look at this thing! I’m not sure how useful this will be once it ships but it sounds like a logical next step.